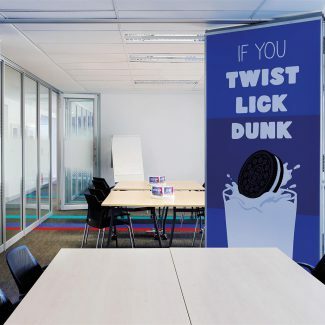 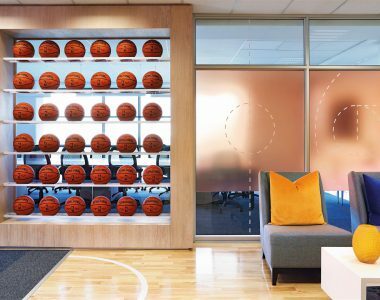 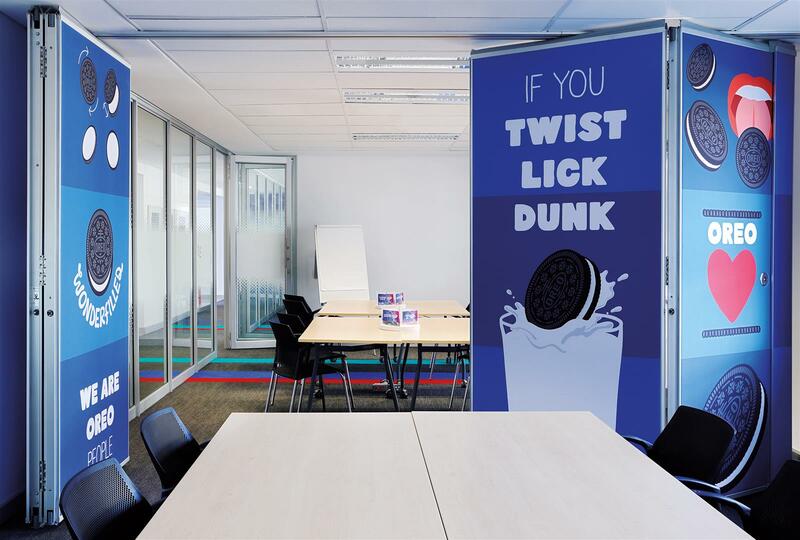 Following a successful project some two years ago, Tétris was assigned to design an office for Mondelez in Johannesburg for the second time. 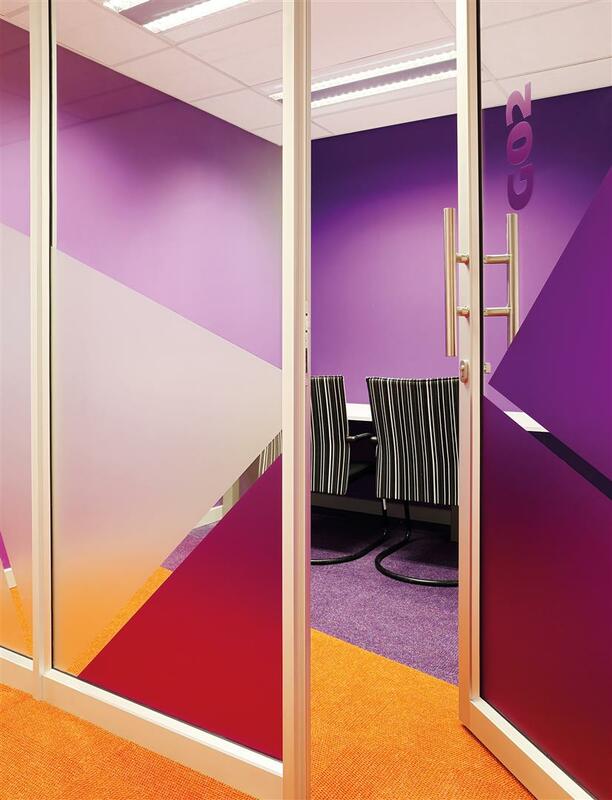 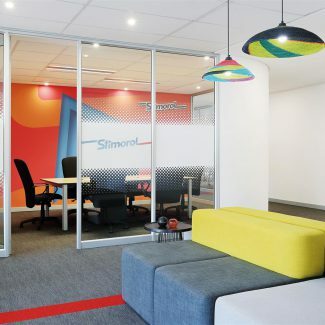 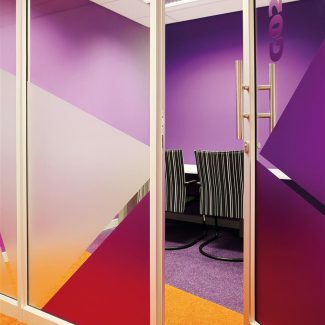 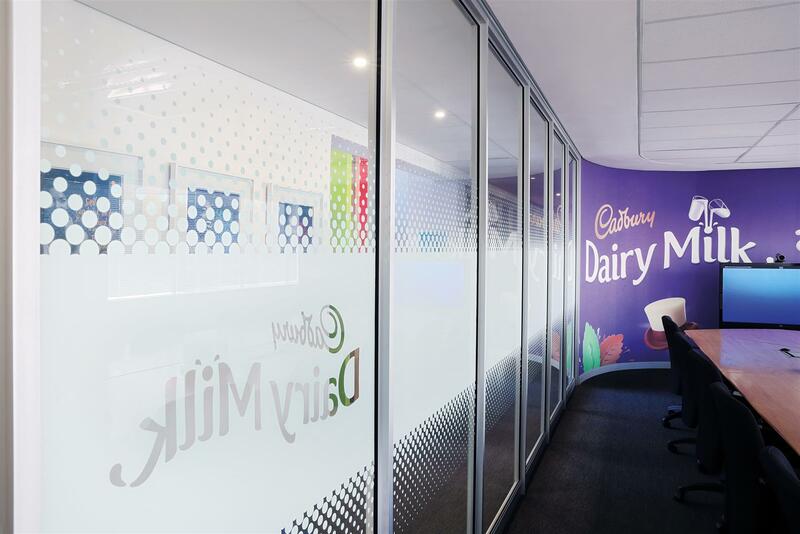 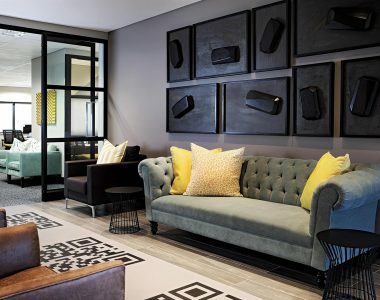 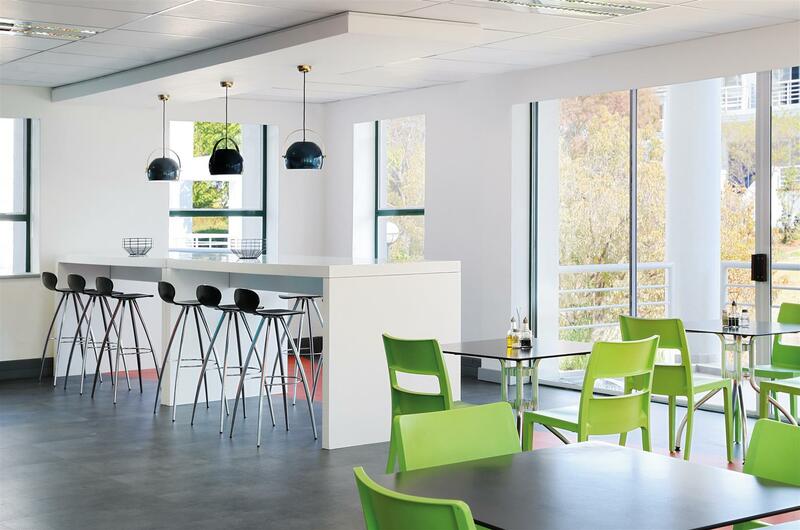 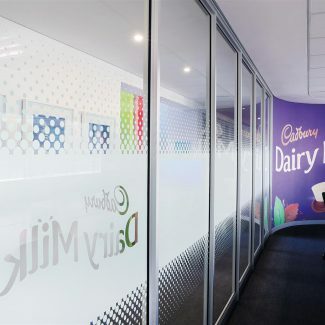 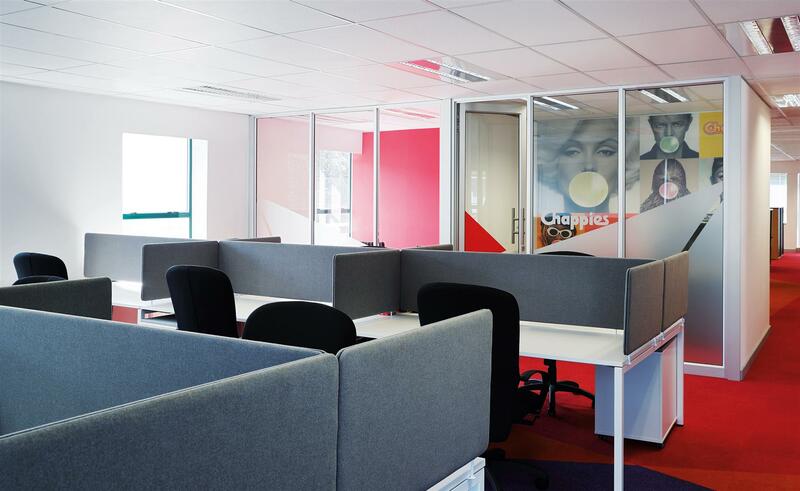 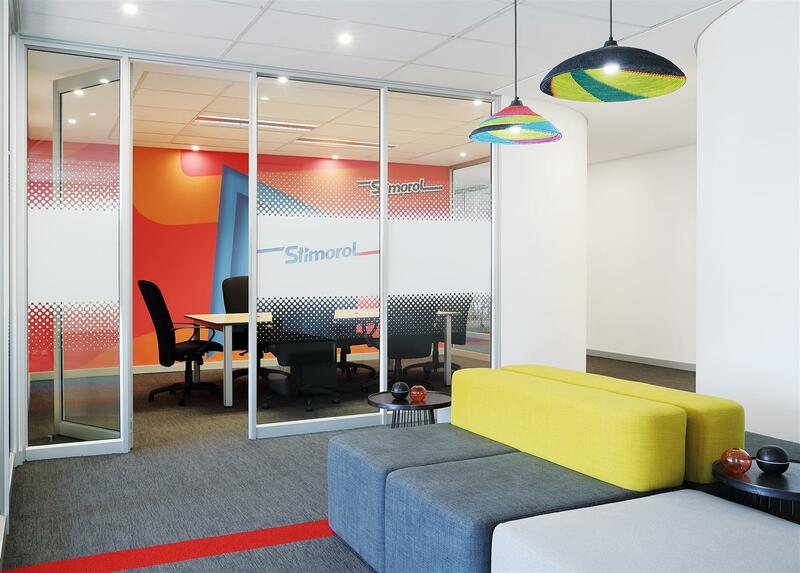 Deciding to relocate within the same node of Woodmead, Mondelez gave Tétris the unique opportunity to better the original design delivered in the first fit-out. 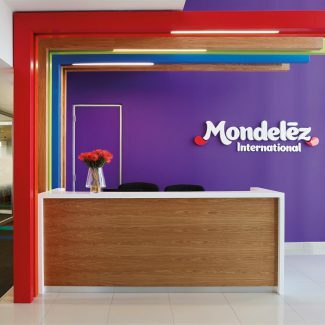 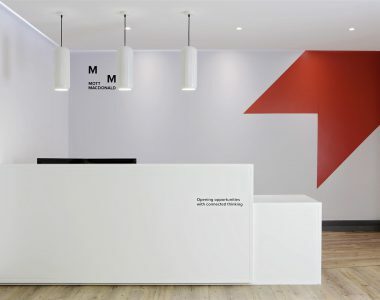 As the only tenants in this campus style building, we created a big impact for the Mondelez reception area. 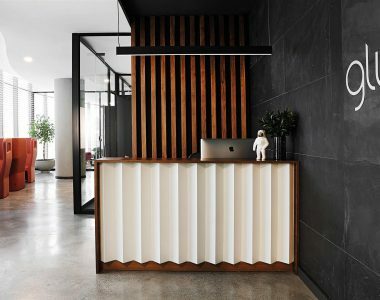 A flurry of colour greets visitors upon arrival, with an up-and-over custom designed timber feature cocooning the timber and white reception counter. 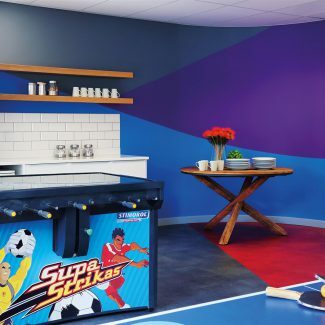 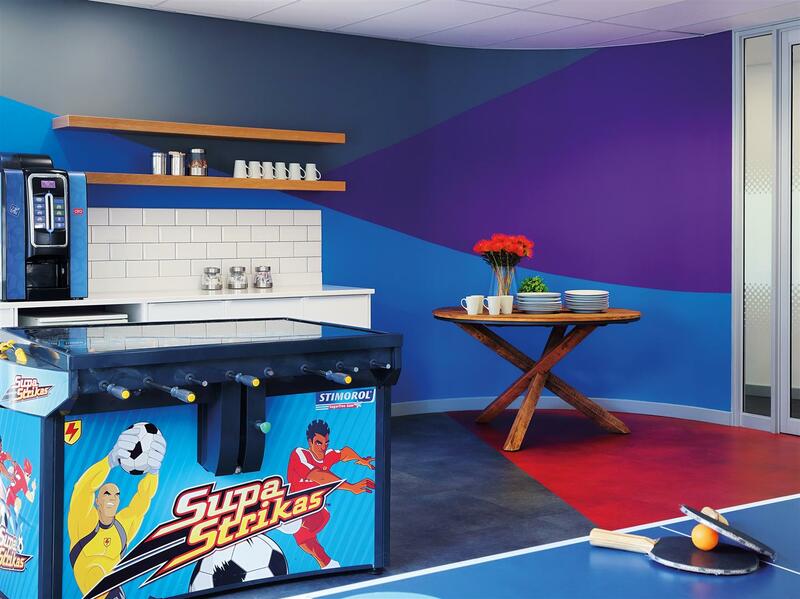 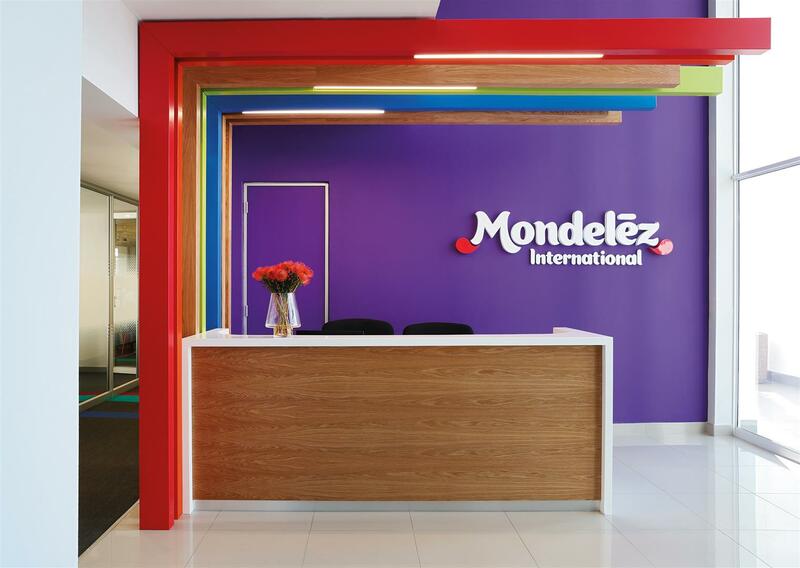 The bold use of the Mondelez purple flanks the counter and adorns the logo, which is also cleverly used in areas throughout the space. 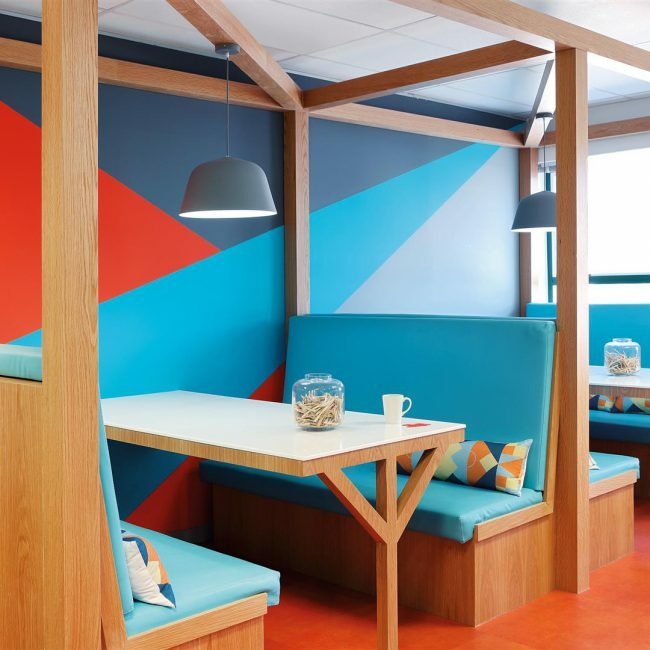 As much existing furniture was re-used as possible, supplemented with new interesting joinery pieces and custom designed and purpose-made features wherever possible. 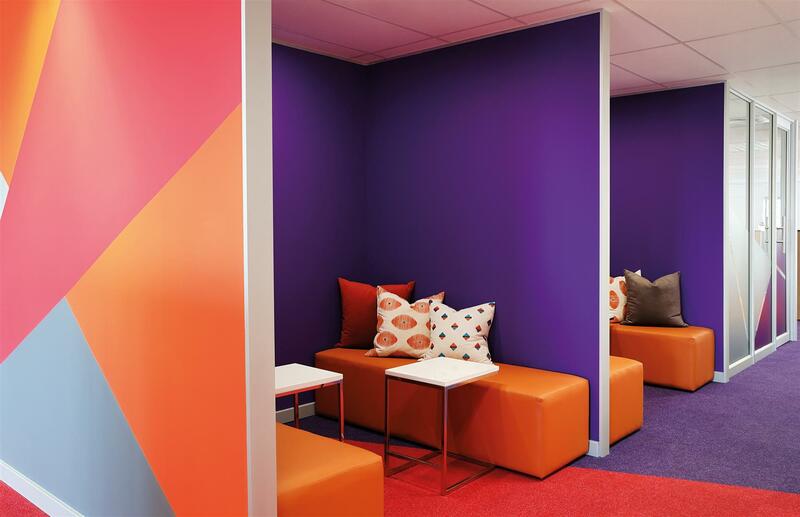 Tangerine and cyan balance the purple in different areas. 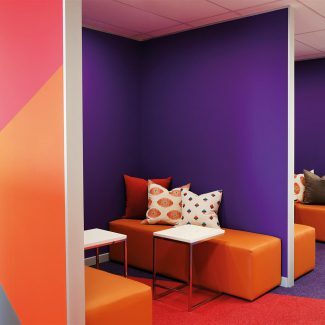 Meeting booths use a combination of these colours to create hubs where impromptu collaboration can take place. 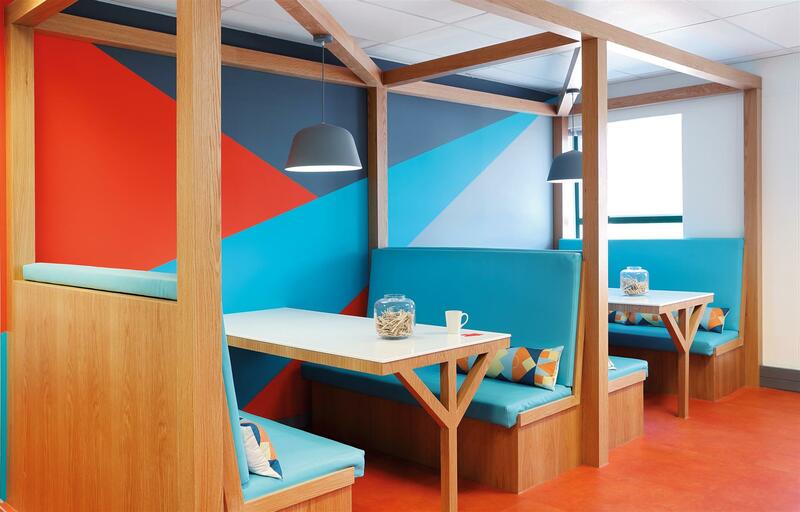 Colour demarcates areas of interest. 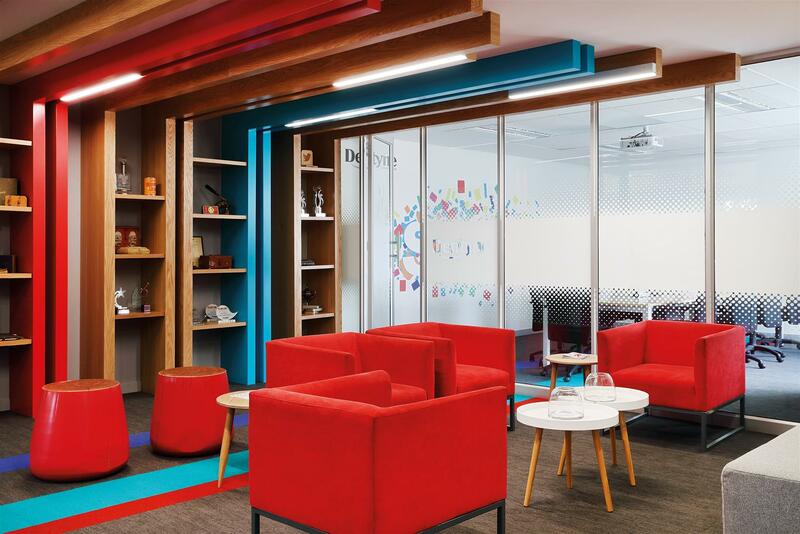 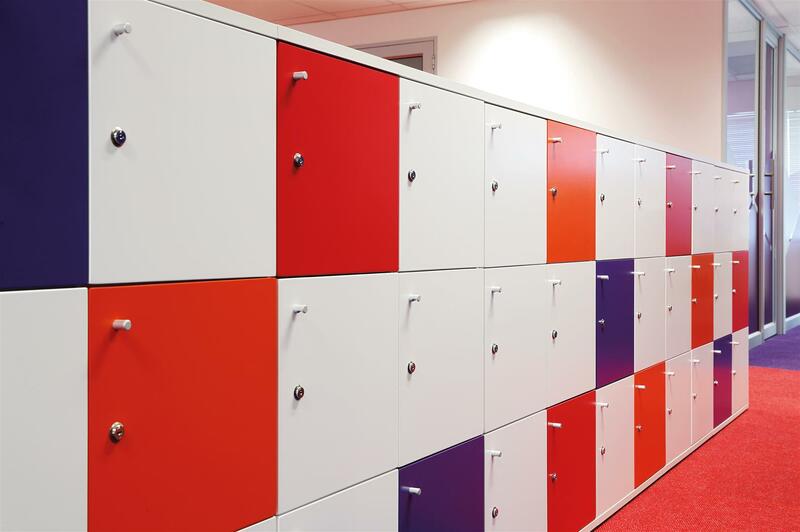 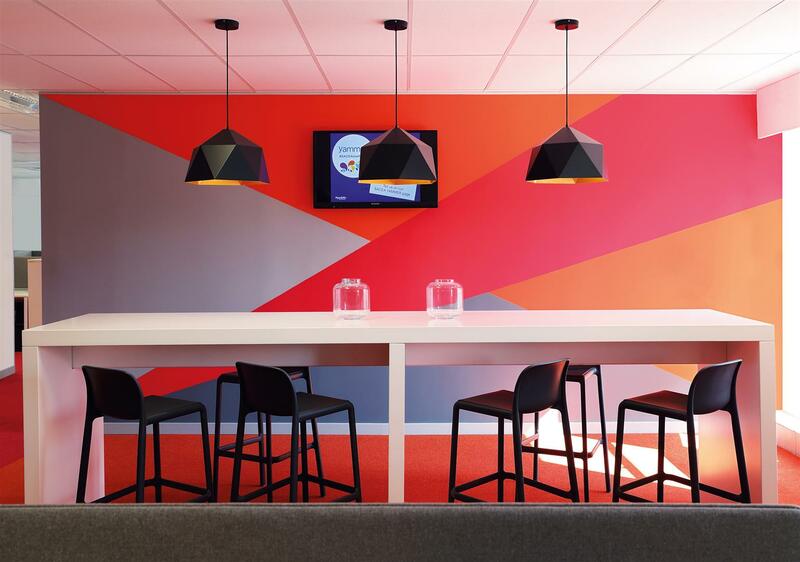 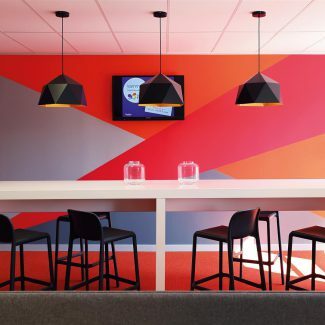 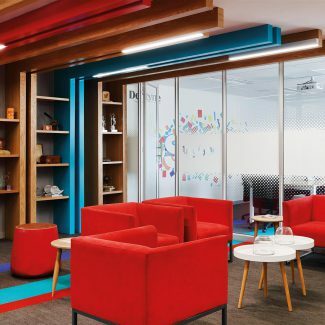 A library for example, boasts colourful up-and-overs; the canteen has bold wall finishes and furniture choices; and the meeting rooms with carpets and colourful brand wall graphics create a buzz. 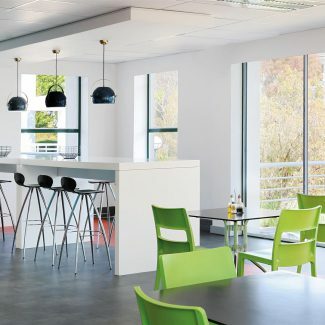 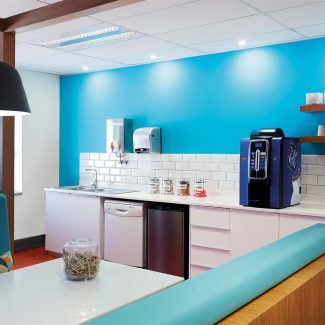 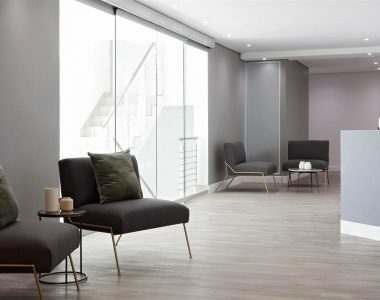 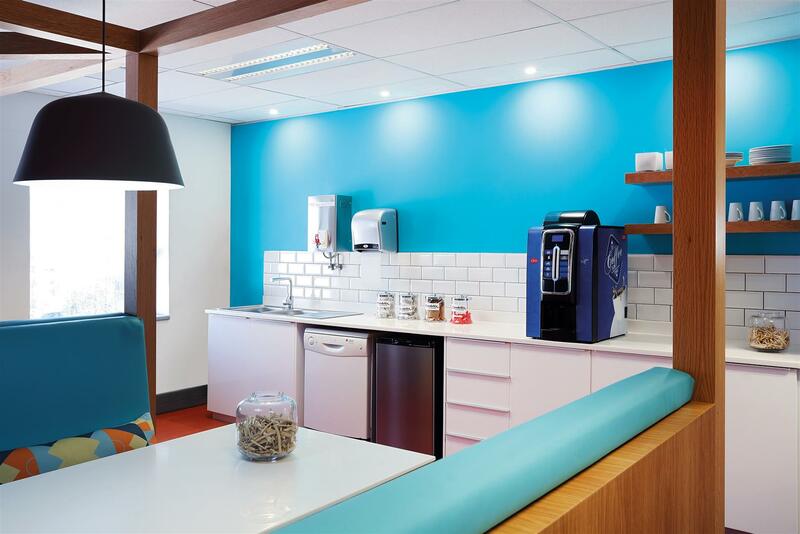 A neutral palette dominates the office areas, with hints of colour in lockers, coffee stations, informal meeting areas, and subtle carpet designs. 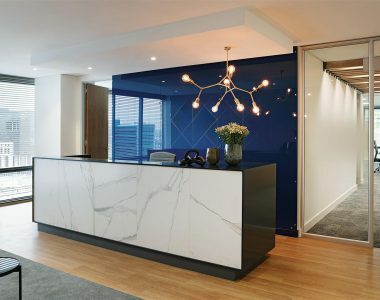 Tétris was responsible for the design, detailing, project management, procurement and project delivery of this fit-out which took 12 weeks to successfully deliver. 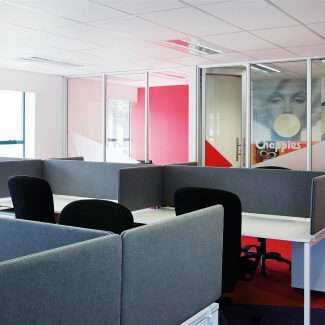 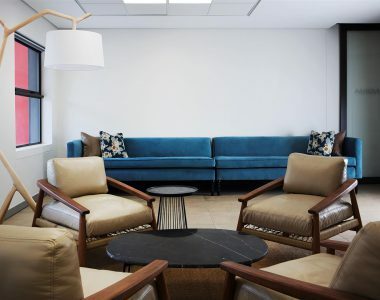 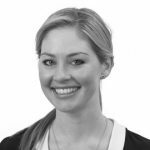 We also assisted with the move management, oversaw the IT and audio-visual equipment delivery, as well as managing the relationships between the global corporate real estate team and the local team who would ultimately be the end users of the space. 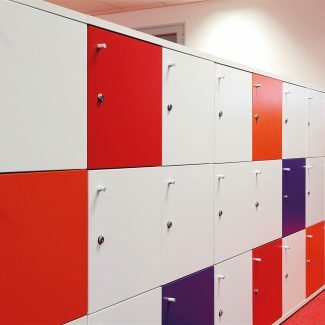 Tétris ensured that the snags were completed timeously, and as always that the client was happy, informed and ready to use their new space on go-live day.